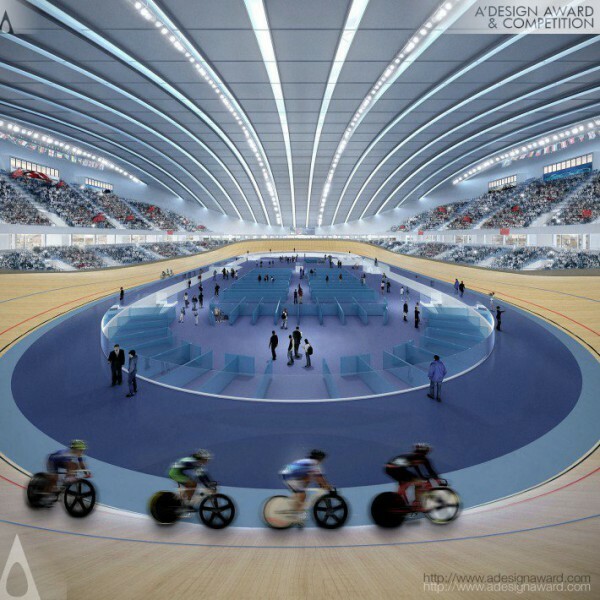 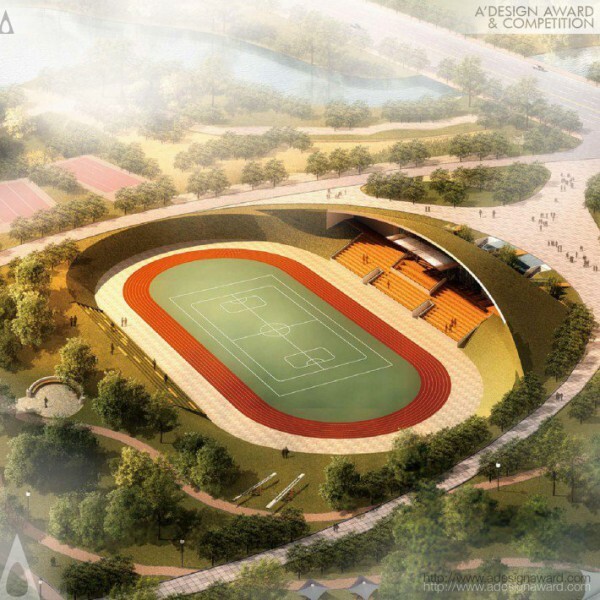 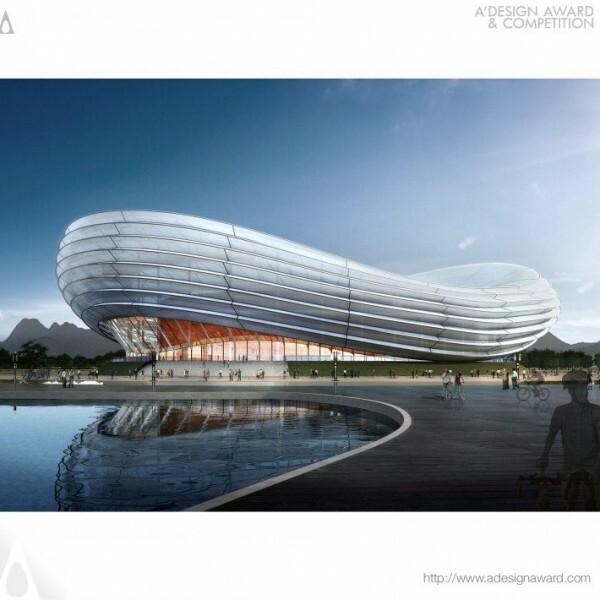 Wanda CPRI &amp; GDAD, the thinktank behind the displayed design Cycling Sports by Wanda CPRI &amp; GDAD says, Besides a sports infrastructure, the velodrome was also intended to be a landmark of Chongqing. 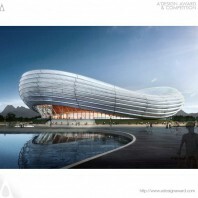 The recognisable form alone made this goal. 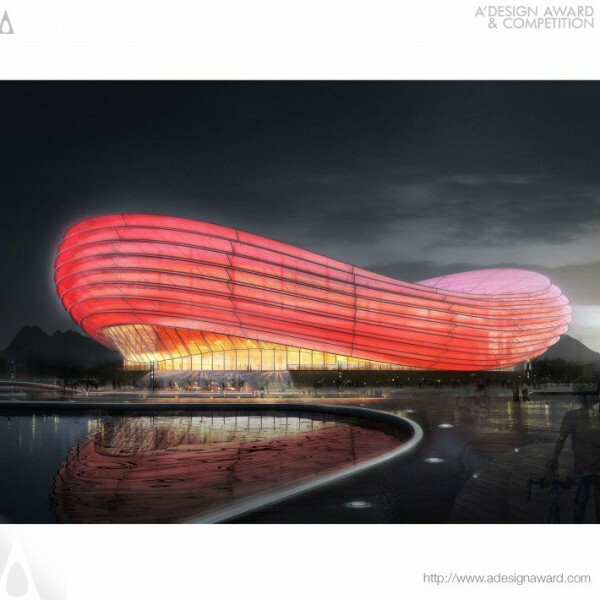 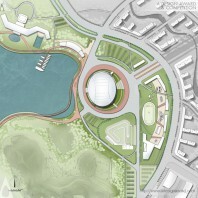 The architect drew inspiration from lanterns, a handicraft heritage of China, and successfully combined this conception with requirements of a modern sports venue. The Velodrome has an exciting indoor atmosphere created both by 6000 spectators in maximum and athletes racing on a precisely-fabricated wooden track. The attractive outer appearance was realised by advanced net-cable structure, thus making it the centre of the place where people could gather..